1. Do the activity given to you - and follow the rules for that activity! 2. First five win and receive the award(s). 3. If you've already received the award you can still participate. First five without the award will receive it. Each activity will be a surprise - hence the name - and each will be different. Keep your eyes peeled and have fun! 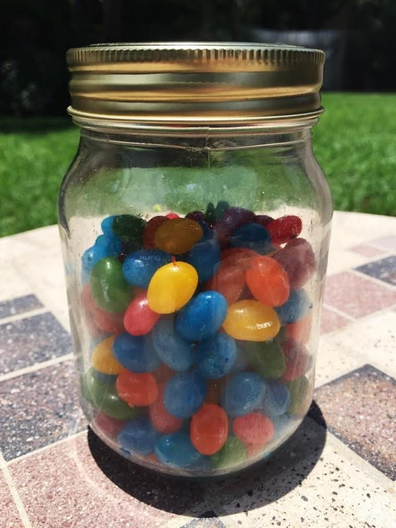 Post here with a guess of how many jelly beans are in the jar! First five people with the closest guess will win!